We are back in business! The pantry collapsed and we lived with the contents all over the dining room for two weeks. 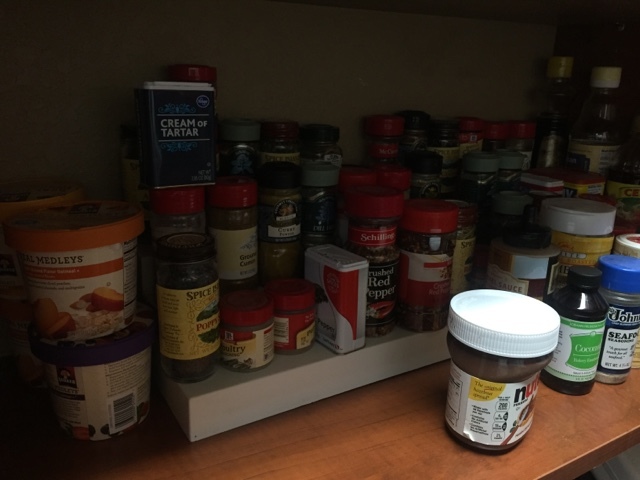 Things felt like chaos and I couldn’t find the spices I needed to save my life. 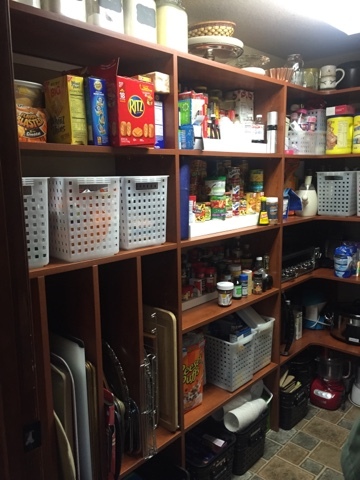 Well, to be honest, before the collapse my pantry was lacking in the organization department. I really just needed to spend some time throwing out old items. These bins are set aside for lunch making items. This picture is horribly dark, but I’m thrilled to have my spices all alphabetized again. I’m discovering that I may have a problem with the amount of sprinkles and cookie cutters I have. 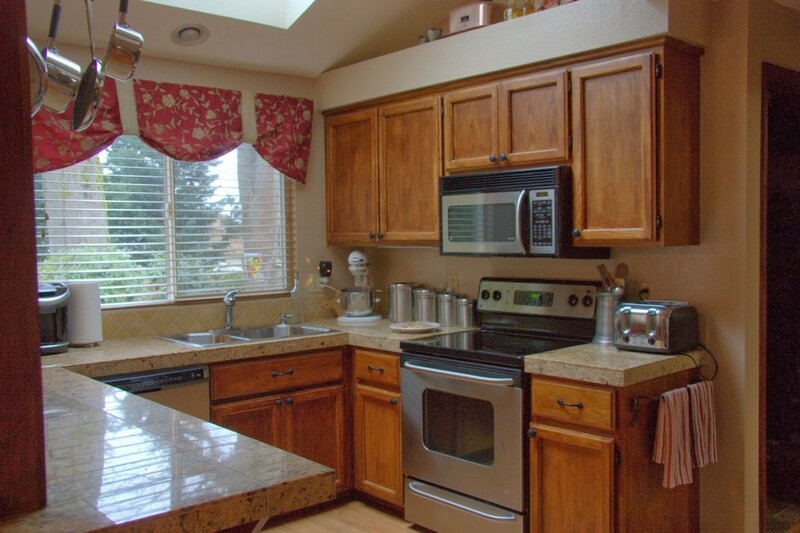 All of my appliances are back in their places and ready for the next cooking/baking project. One thing I can’t stand is the water bottle mess that we always have. I now have two bins that store all of the water bottles in the house. Now, hopefully, the water bottles won’t be falling out of the cupboard onto our heads. Hopefully we can keep up the organization now! 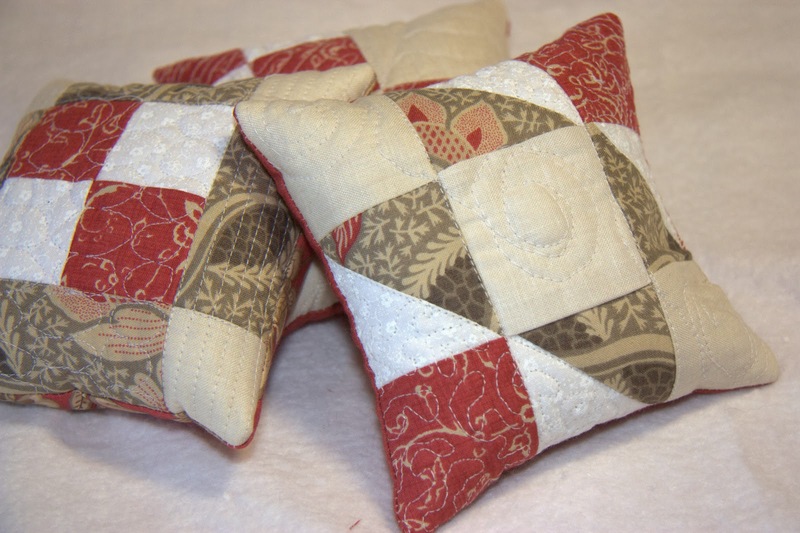 I think I shall spend the next few weeks baking, to celebrate the fact that I can find everything again! 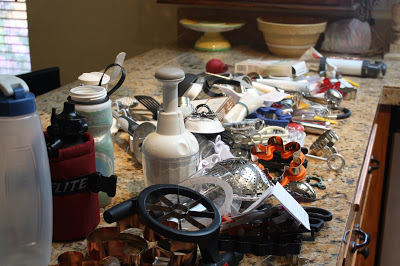 As I’ve been thinking about what should come next in my Mission: Decrapification Organization, I ran across an old post on the kitchen drawers. Ok, I guess these drawers need to be next. Here’s the old post. I have no time to write a new post. I have drawers to organize. 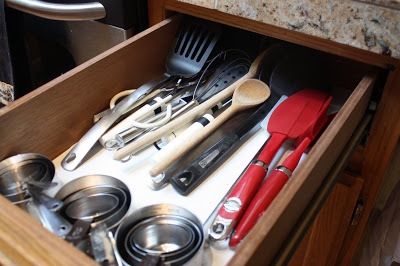 How many drawers do you have in your kitchen for cooking, baking, and food prep tools? In my kitchen there are three drawers just for gadgets and tools, not including drawers for knives, silverware, and hot pads. On Easter Sunday, I was looking for my ice tongs. When I couldn’t find them, my family started helping me look. I can’t tell you how embarrassing it is when three people are searching for a kitchen tool and can’t seem to get their hands on it. 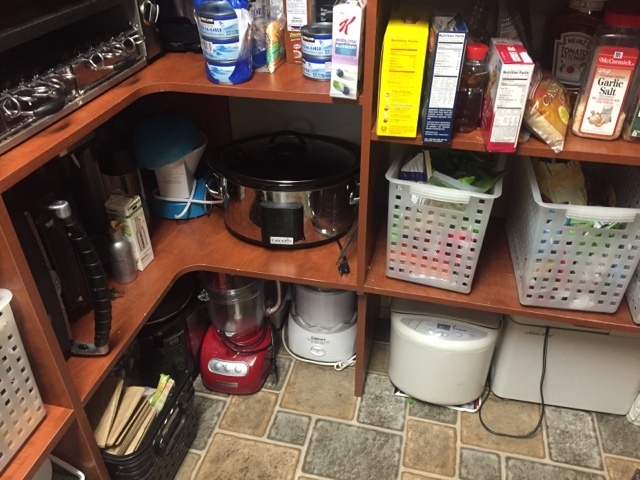 I LOVE organization and I know there absolutely has to be a better way to organize my kitchen. Over the weekend, I decided to tackle the drawers. I started by taking everything out of all three drawers. 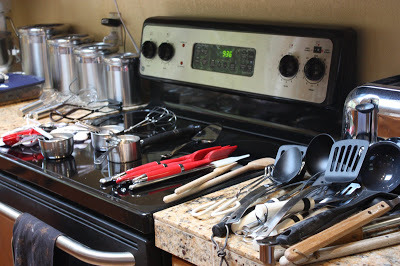 All of my tools and treasures covered the entire counter and the stove. The first thing I thought was that I’d have to get rid of a few things. Once I started sorting, I found that it really wasn’t that much stuff. My tools just needed to be grouped together. I made piles of like items. Things were looking better already. Then, I decided which drawers to put things into. 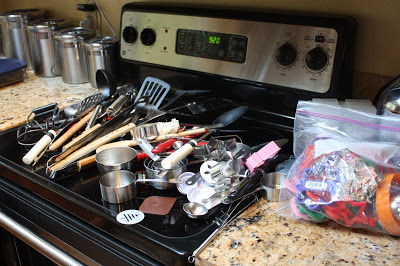 I designated one drawer for baking and tools I use at the stove. 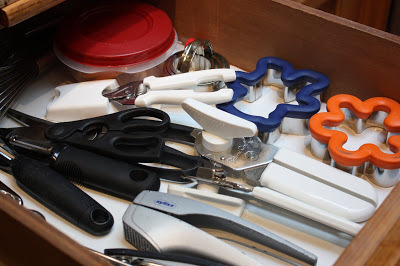 One drawer was chosen for everyday items, like can openers, kitchen scissors, and a few cookie cutters for cutting out cute peanut butter and jelly sandwiches. The last drawer was the deepest, so it was chosen for big things that I either don’t use that often or needed a little extra room. Somehow several cookie cutters had found their way into the drawers. That’s because they don’t really have a home. 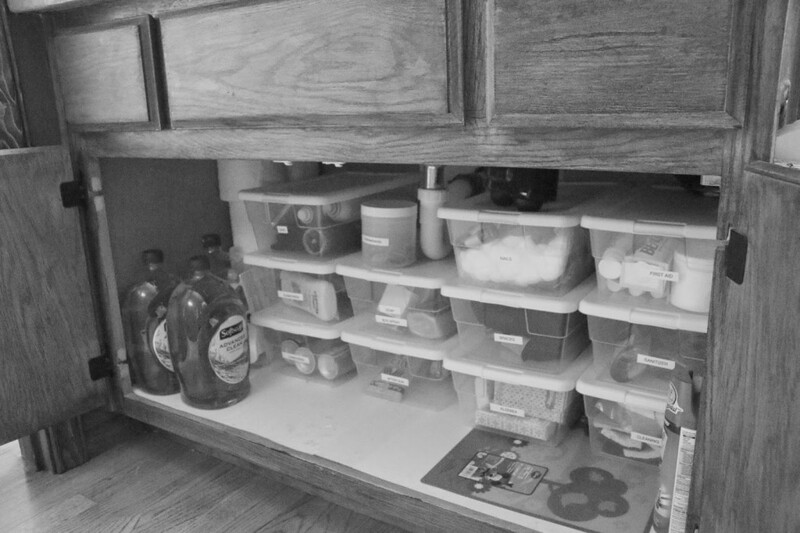 Some days they may be in the art cubby with the Play-Doh supplies. Another day they could be on a shelf in the pantry. For someone who bakes quite often, this is not a good thing. 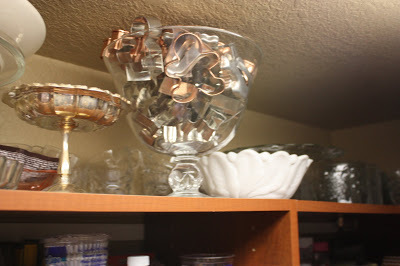 I decided to put all of the stainless and copper cookie cutters in a glass bowl, up high in the pantry. 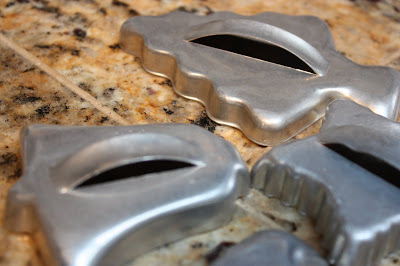 These are my good cookie cutters and I’d prefer the kids don’t play with them. 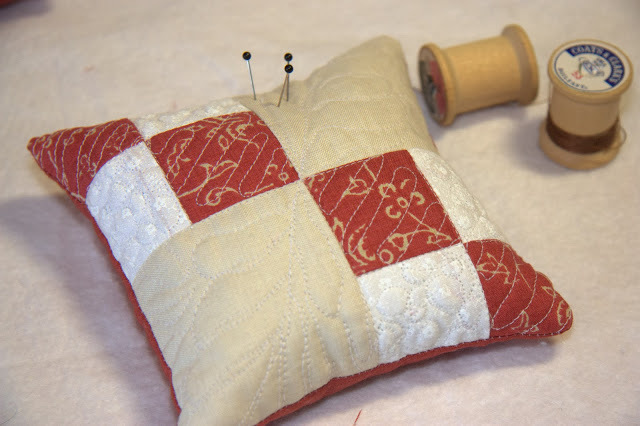 There are a few with sentimental value, from baking with my mom when I was younger. The copper Wiltons are just so pretty! 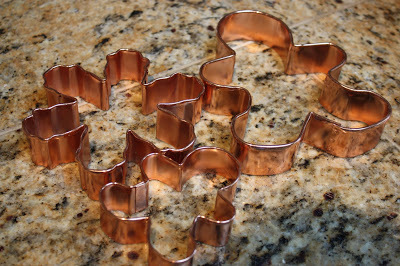 The plastic cookie cutters were stored down low in the pantry, so the kids could reach them, but I could find them as well. 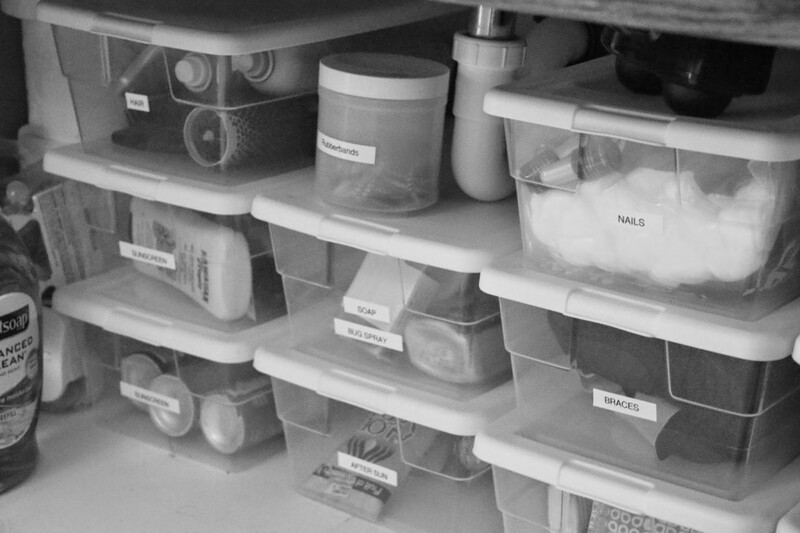 What I’d REALLY like to do is make a trip to Storables or the Container Store. 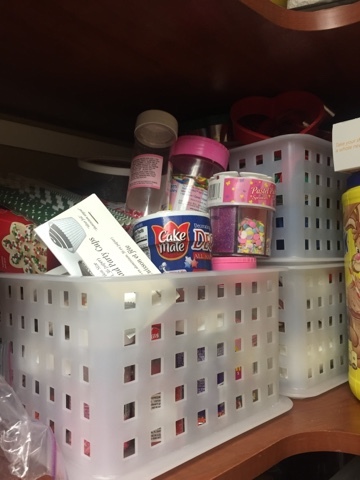 They have terrific drawer dividers and perfect bins for my baking supplies. That will have to wait for another day and a different paycheck. At least for now, I can easily get to my apple cutter, can opener, or measuring cups. I still don’t know where the ice tongs are though! 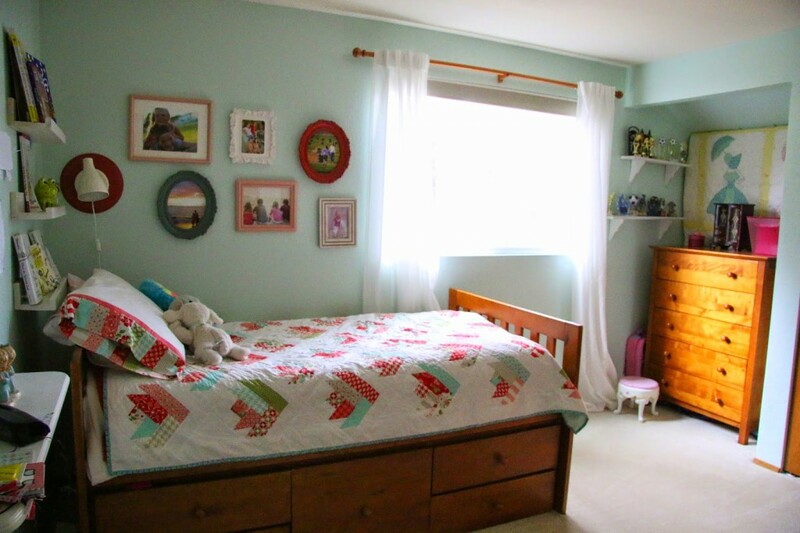 Do you have those spaces in your home where you feel like the contents are spilling out to greet you? Does something fall on your foot every single time you open the darn freezer? Do you have piles of Barbie movies that your daughter hasn’t watched for at least 3 years? You don’t? Wellll, I don’t eeeeither… I guess. Just forget everything I just wrote there. 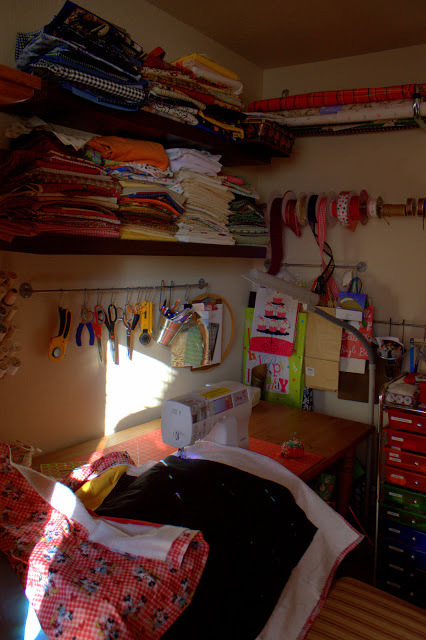 Today we started with hot-spot #1, my little hoarder’s room. She was actually in the mood to get rid of things, so I jumped at the chance. She’s decided that her room is too small. Well, her room is a nice size, she just has too many toys and no place to walk. 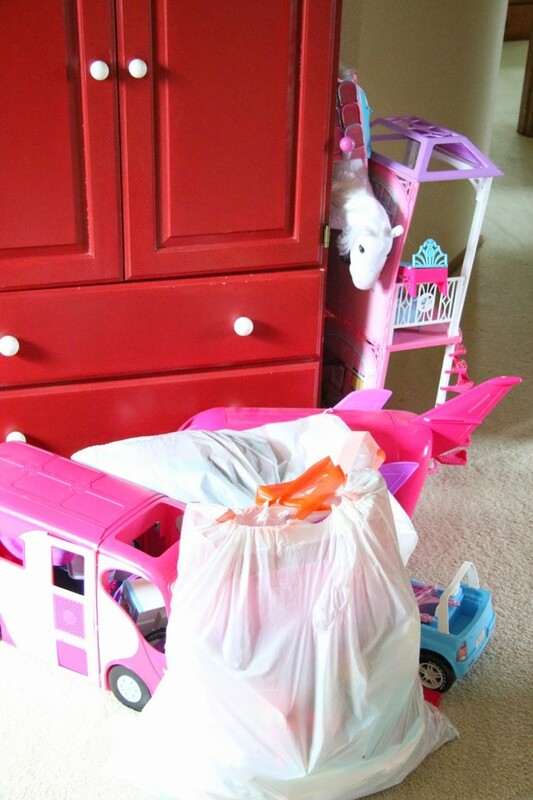 She decided that it was time to get rid of the Barbies and store the American Girl Dolls and clothes under her bed. Will you look at this? I can see the floor! And the bed is made! And the books are put away! She cleared out all of the Barbies, houses, planes, and RV’s. We also took a huge box filled with school projects and garbage out to the recycle bin. Now, doesn’t this look like a place you could have some fun? There is space to play, space to work, and space to WALK! 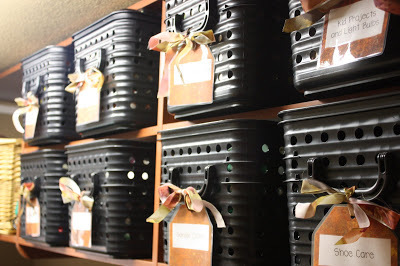 Bins and labels. I guess that’s what I do. 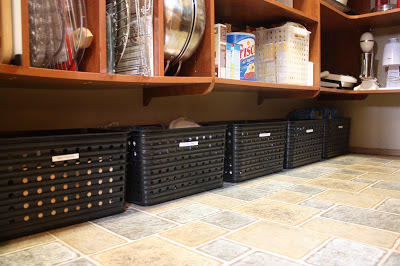 I was looking through some blog photos and noticed how many times I’ve posted about organizing with bins and labels. 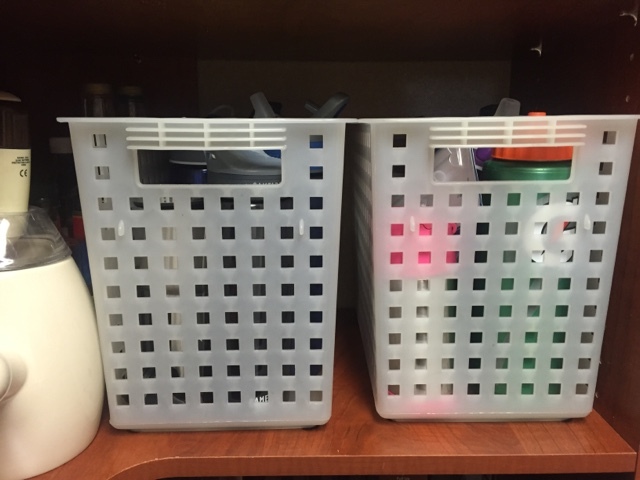 Here are the bins in my laundry room. 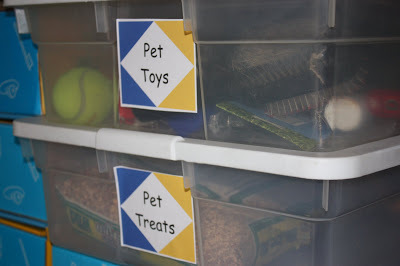 When my daughter was younger, her toy bins had labels with pictures. I would pretend that it helped my daughter put her toys away in the right places. In reality, it helped ME put her toys away in the right places. For the garage, I made printed adhesive labels. Sadly, these bins are all overflowing and need some attention at the moment. 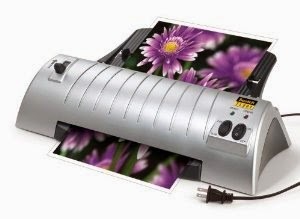 But, the labels are still pretty! The next two pictures were from my bathroom organization post. 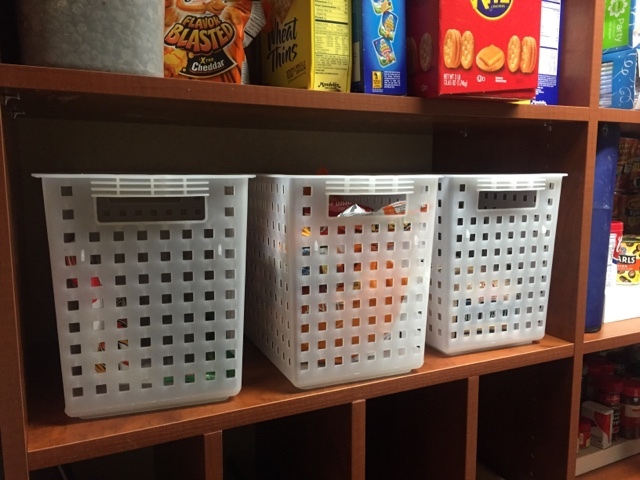 One of the parents in my classroom stopped me today to let me know that she bought bins and organized her bathroom like this today! Love it! 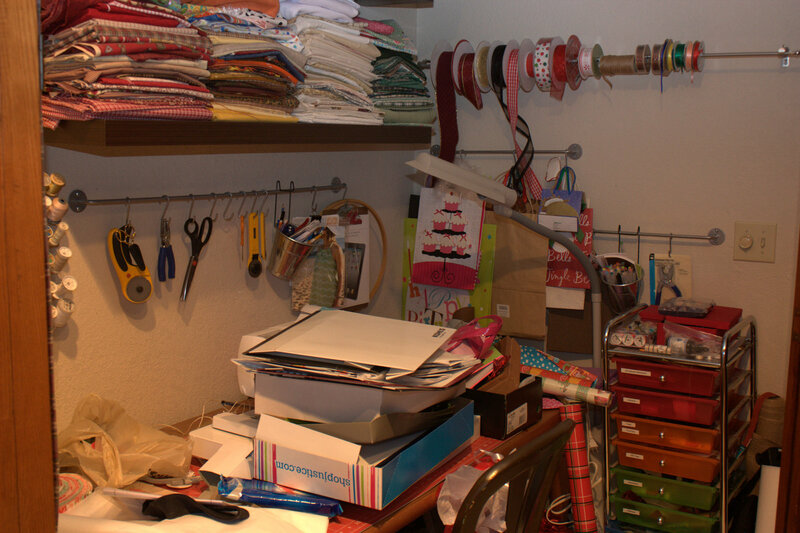 Doesn’t organization make you happy? This was the best 20 minutes I’ve ever spent organizing. I can find stuff again! My label maker came in handy for organizing the bins too. I heart my label maker. 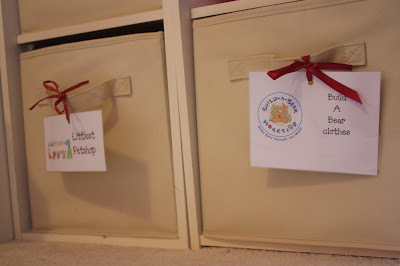 My classroom books are all in little labeled bins too. These are the seasonal books that I only get out for about a month each year. It’s easy to find Christmas books or St. Patrick’s Day books when they are all organized by theme, month, or author. Ah, the pantry. Let me just say, that this photo was taken on a good day. In summer. When I wasn’t working. And my kids were younger and didn’t have their teenage friends rummaging through our food. And I had more time. You get the idea. 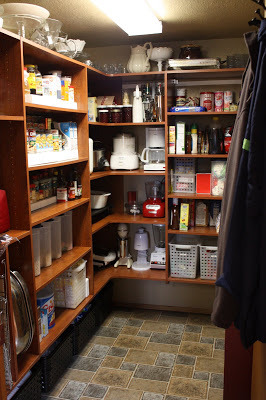 You know that little cupboard in your kitchen, on the backside of your cabinets, that seems like dead space? It’s our art cubby. 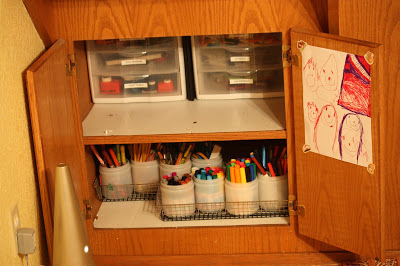 Everyone needs an art cubby if you have kids at home. 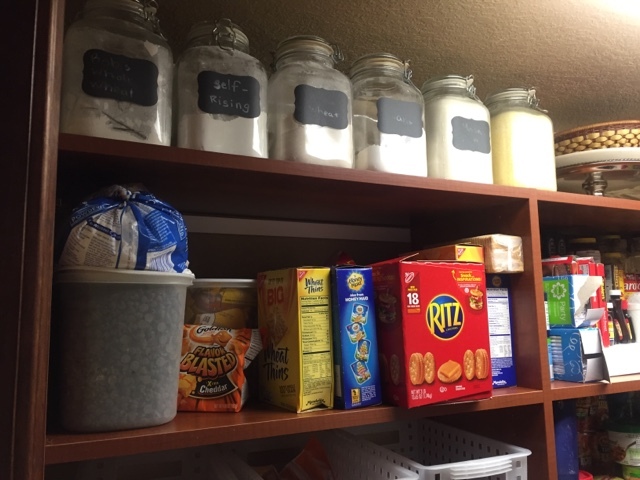 Ok, now that the kids are older I call it the Homework Supply Cupboard (although sometimes Art Cubby just slips out… hey, I’m a kindergarten teacher). 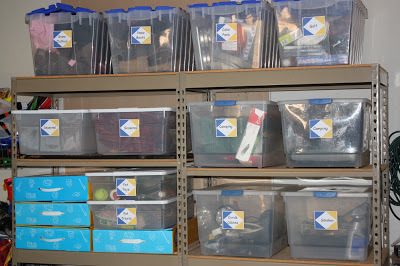 Once again, we have bins and labels in there! I guess I’m a little obsessed, but there are worse things to be obsessed with! Organizing under the bathroom sink is one of those jobs I’ve been procrastinating for years. Once upon a time, it was organized in little bins and we could find Band-Aids, sunscreen, and Kleenex pocket packs in about 10 seconds flat. Then, life happened and the kids grew up. Suddenly we needed to store multiple braces and bandages for sprained knees, ankles, and fingers. Nail polish kits became the birthday gift of choice, and everyone seemed to get picky about the brand and SPF of sunscreen they wanted for the Summer months. 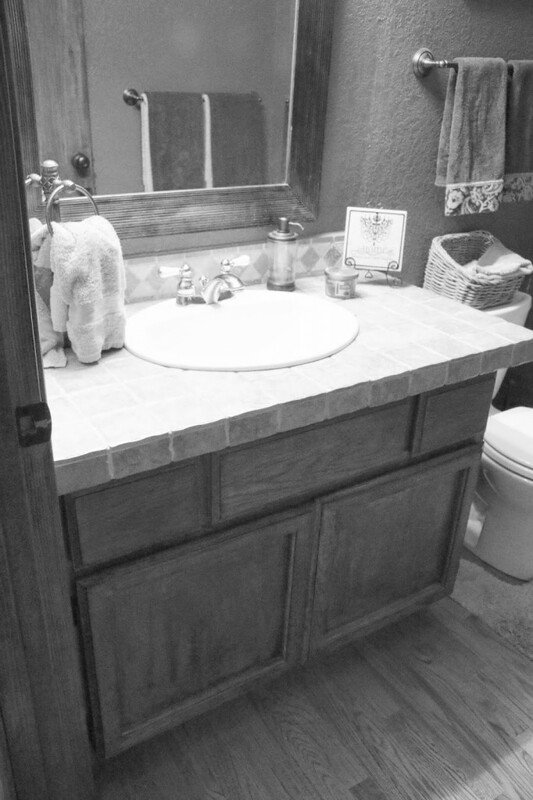 Things were pretty ugly underneath this bathroom sink, friends. For Christmas, I put $1 shoe bins on my wish list. My sister-in-law came through with a bundle of 12 containers. Pulling everything out seemed like such a daunting task. I put the job off for another month, but this past week I finally decided to tackle it. I was thinking it would take a while to sort through all of the bottles and packages. Ha! A job I thought would take forever, took about 20 minutes. Money can buy happiness, friends, and it only costs $12. It was book reorganization time at my house this afternoon. I’m finding that our home book collection is getting smaller and smaller. As my kids grow up, I’m taking the books that they have outgrown to my classroom. My classroom library is requiring a new bookshelf and my home library is dwindling. 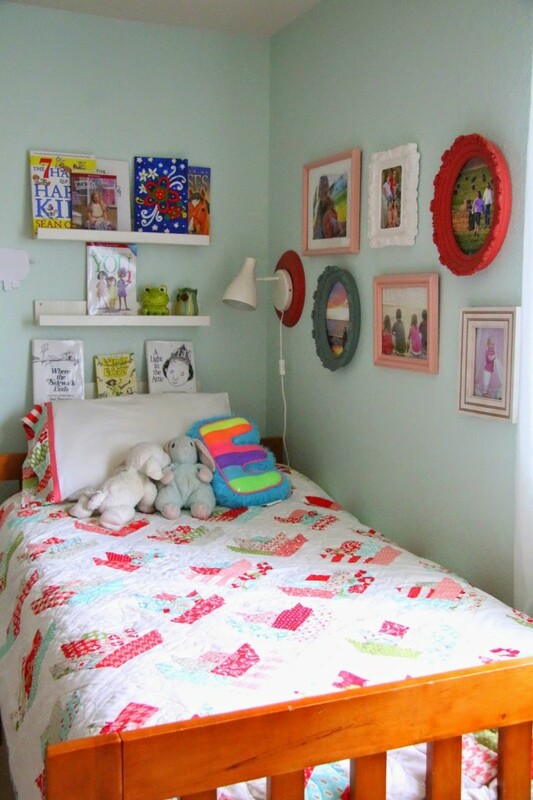 Our children’s book library is in a little corner of our bedroom, that is actually tucked behind a door. It fits two bookshelves quite nicely and stores most of the kids’ books. I’m finding that we don’t need sections for Board Books or Dora anymore. We really needed more bins for the chapter books that my daughter loves. I started by doing a little sorting. 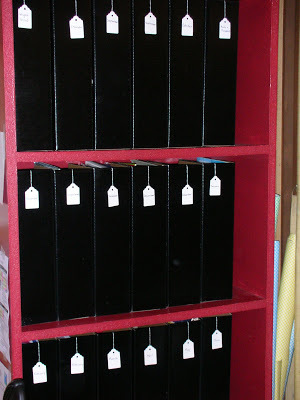 Some of the sections are labeled right on the shelf, and the bins have hanging tags attached. I love containerizing my books! It makes it so much easier to find what you’re looking for. I didn’t bother laminating the tags for the bins because I’m guessing they will change again by summer. My daughter’s interested seem to change daily right now (and my son still has absolutely no interest in books). To the right of the large shelf is a smaller shelf. Because this is a dark little corner, we need a lamp over here. Bedtime books are hard to choose when it’s too dark to see. The wire basket serves as our book return. My kids know exactly where books need to go, but it never fails… they always leave a stack of books on the shelf for mom to return. At least if they have a basket, it looks like the kids did what they were supposed to! I have a boot problem. No, the problem is not that I have too many boots. (That’s not a real problem because there is no such thing as too many boots.) My problem is that my boots don’t stand upright and therefore always wind up in a big pile in my closet. 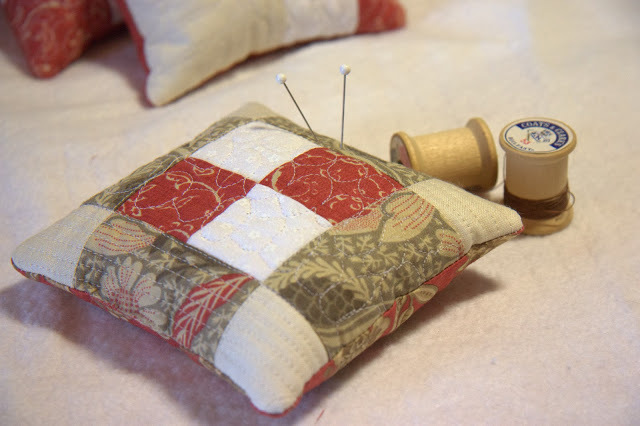 I saw a seemingly quick and easy project on Pinterest and decided to give it a try. It involved stealing my daughter’s pool noodles, so I had to do this while she was out of the house. I measured how long I wanted my pool noodles, depending on how tall my boots were. Then, I marked, and got ready to cut. If you ever need to cut pool noodles, now you know… electric carving knives are the way to go. Check this out. I cut up all of the noodles we had, in varying sizes. My closet is MUCH happier! I can’t say my daughter is much happier, but I’ll deal with that during the summer when she notices her pool noodles are missing. Happy pool noodle stealing and boot organizing! 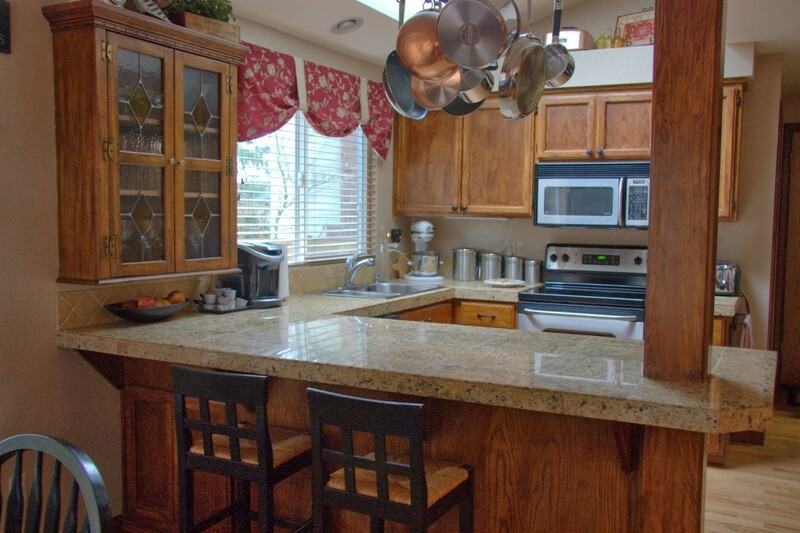 I strive every day to have a clean and organized home. Do you know that feeling when someone stops by unexpectedly and your house is a complete mess? Not me! 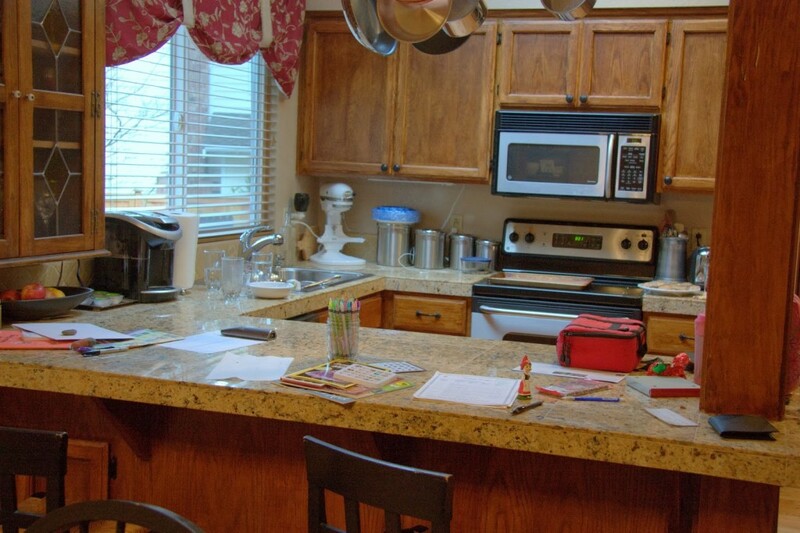 I keep my kitchen counters clear, my kids know how to clean up after themselves, and I find it brings a sense of calm to our day. 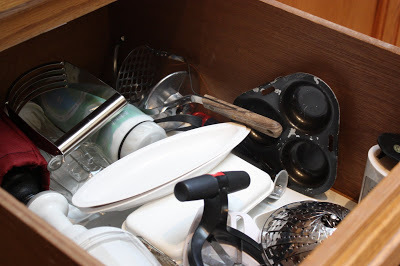 Each night, before I go to bed, I make sure everything is completely put away and if I feel to tired to do it, I just tell myself that clutter is the enemy of a relaxed and happy family. Ummm. Then, I wake up! 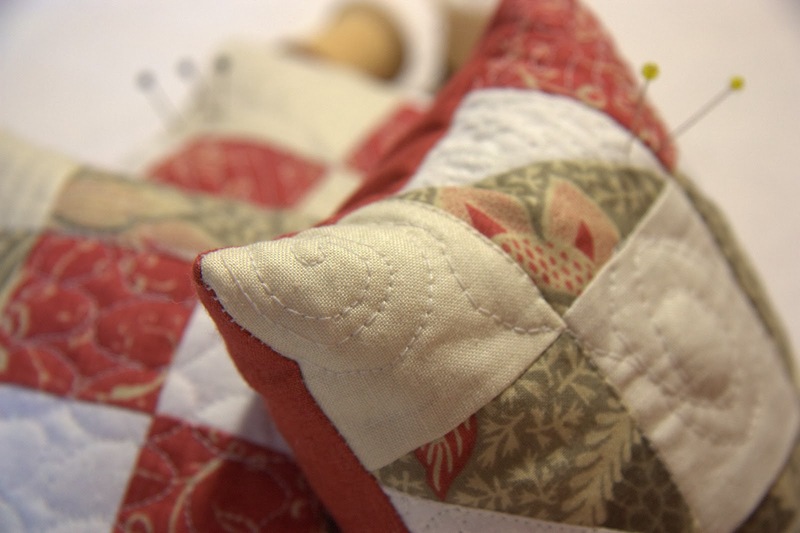 It’s only in my dreams that there is a place for everything and everything is in its place. 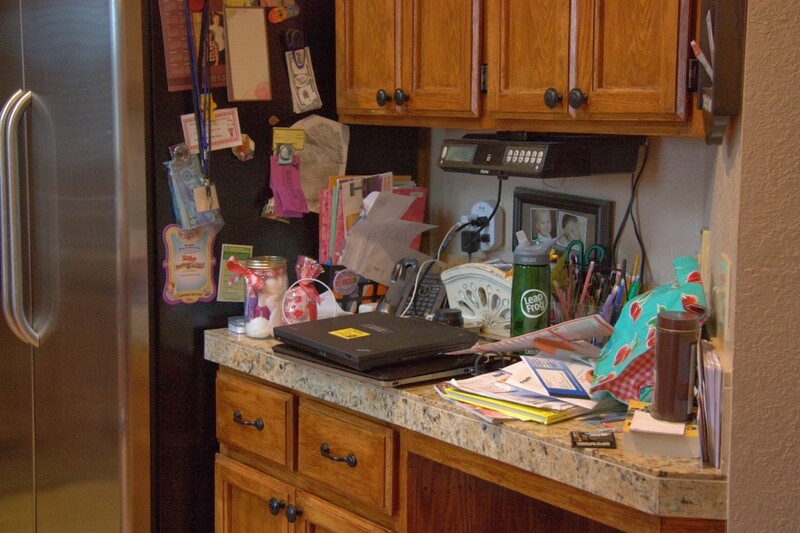 Sadly, there is always a pile of mail, kids’ papers, and lunch boxes all over my kitchen. Rarely do I actually see the surface of our little desk area. Yes, I do have a place for everything, but I’m not so sure about that part where everything is in its place. The kids are constantly leaving things on the counter and, it never fails, we usually run out of room for all of our glasses in the dishwasher. When I write a blog post about a meal I’ve created, you can rest assured that there is a pile of dishes that has been pushed out of the way before snapping the picture. 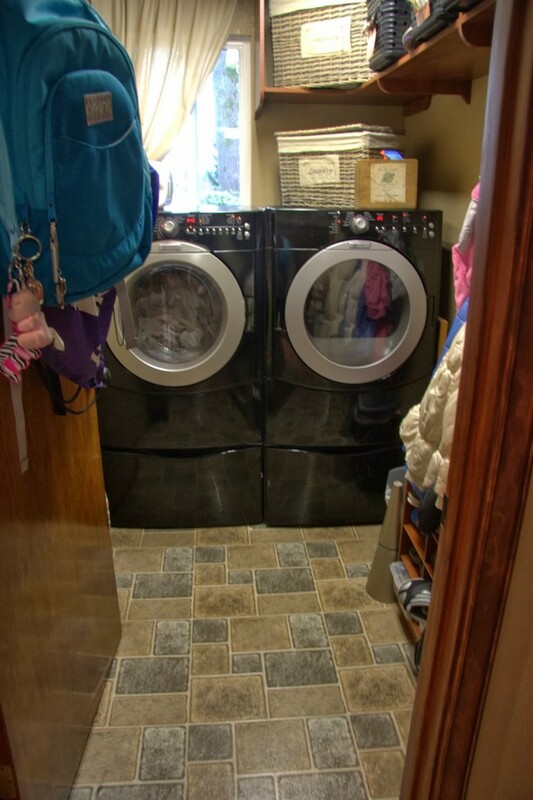 I can’t even believe that I’m showing you the horrid laundry room. 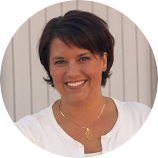 It is a constant battle to get the kids to hang up their backpacks and put their shoes in the cubbies. As a matter of fact, my son’s backpack is sitting in the middle of the family room right now. So much for those hooks I bought for them to hang their things on! 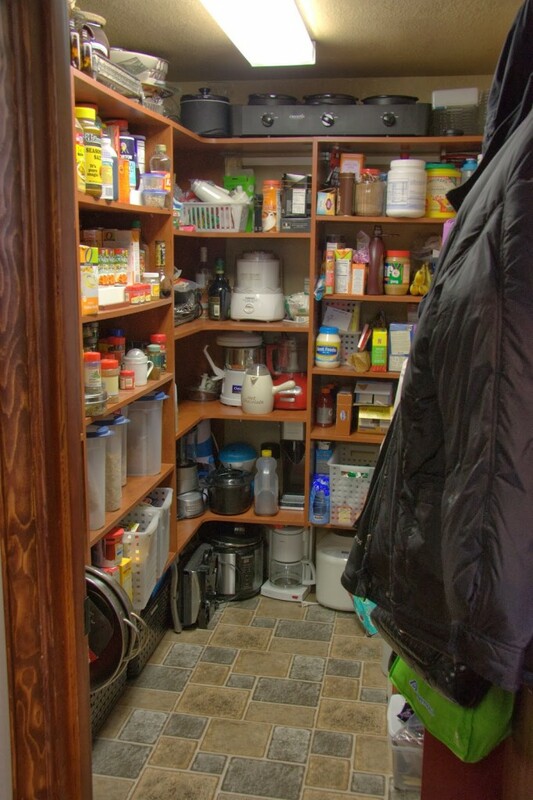 Those of you who are jealous of our walk-in-pantry will feel better know that most of the time we can barely walk in it. I swear, the kids actually drop food as they are getting out a snack and don’t bother to pick it up! Most of the time, I’m not horribly embarrassed by our mess. We actually do live here. I do strive for cleanliness and organization, but I’m not perfect by any means. 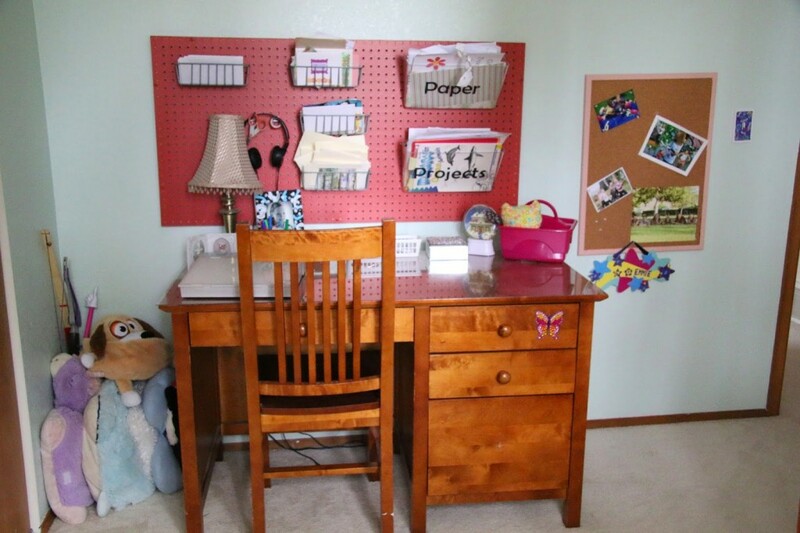 I’m pretty sure I’m not the only blogger out there who is guilty of pushing aside some of the clutter so that it doesn’t distract from the photo. We clean up pretty well, when we have to. I do believe that organization is important, but I can’t say that my house is perfect (or even close). I’m frequently asked by people how I get it all done. 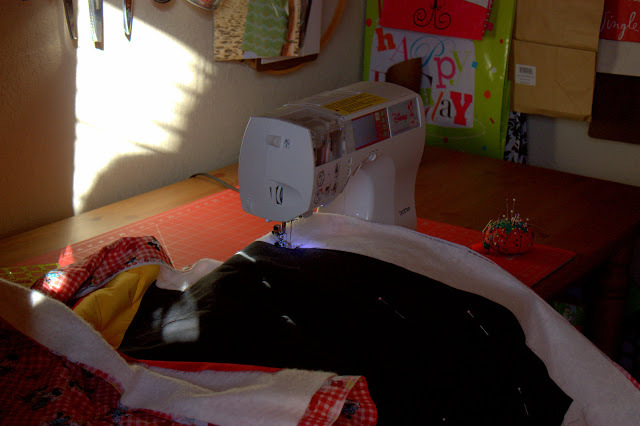 People wonder how I keep my house clean, cook wonderful meals, spend time sewing and crafting, AND manage to take photos and blog about it. Well, the reality is, I don’t. If you stop by my house, there will probably be warm cookies for you, but I guarantee my house will not be in perfect shape. I’ll just take a picture. It will last longer.